Silvester Henderson is a nationally recognized professor, educator, musician, artist, and conductor of the Gospel Song. Over the course of his illustrious music career, he has hosted and performed with celebrity gospel and jazz musicians such as Richard Smallwood, Rev. Daryl Coley, the late Walter Hawkins and the Love Center Choir, Qunicey Fielding, V. Michael McKay, Helen Stephens and the Lighthouse Singers of Marin, Micah Stampley, Jon Gibson, Billy Porter, Vesta, Howard Hewett, Kenny Lattimore, Gerald Albright and LaToya London. Silvester has been the recipient of many prestigious educational religious and community awards. He won the National Piano Competition from the Gospel Music Workshop of America, Inc., which was founded by the late gospel legend Rev. James Cleveland. 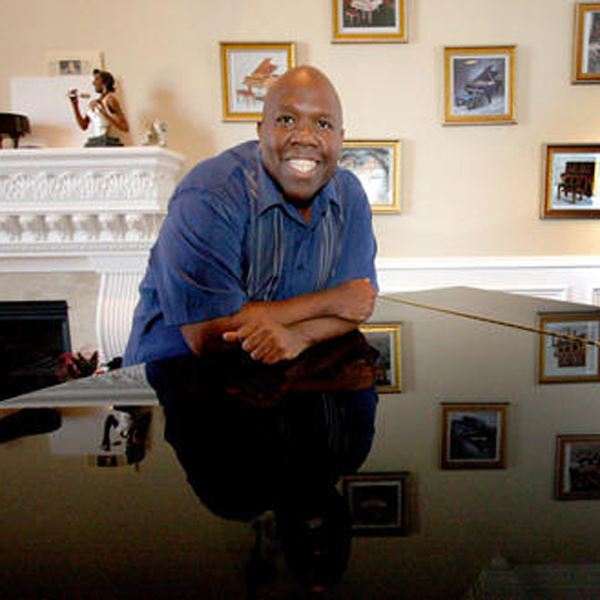 During the Fall of 2000, Professor Henderson developed a Gospel Piano Curriculum, which is the only course of its type in the United States. In addition to leading Palma Ceia’s music ministry, Professor Henderson serves as the full-time Professor of Choral Activities for the Music Department at the Los Medanos College in Pittsburg, where he directs the College Chorus, Chamber Chorale and the Gospel Choir. On top of his Los Medanos College commitments, he is a Emeritus Professor/Lecturer of African American Studies and Music at the University of California, Berkeley, where he serves as the original director of the internationally acclaimed, Young Inspiration Gospel Choir from 1985–2005. Commonly referred to as “Mr. Gospel,” Silvester was selected as a quarterfinalist for the Grammy Association’s Music Educator Award in 2014.